Stay Safe and Warm During the Extreme Cold. Winter weather in the Rochester area for the next 48 hours will be brutal! 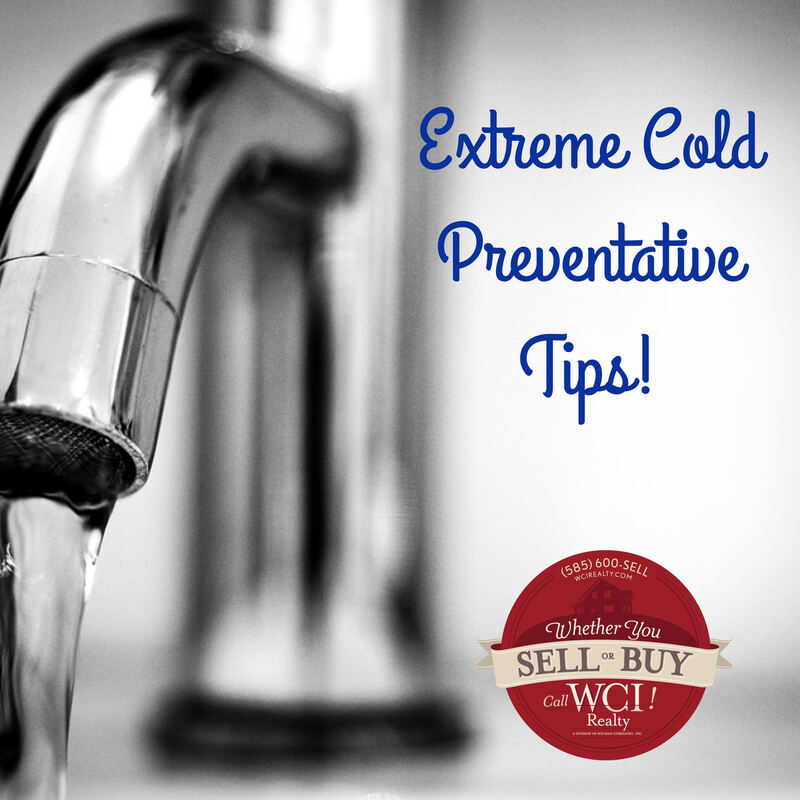 Extreme cold weather can be hard on both you and your home. Here are some tips to put into practice when freezing weather, snow, and ice hit our area. Trickle a thin stream of water from their faucets at the lowest point of their residence as a precautionary measure to prevent water lines from freezing. Close or cover foundation vents under your home and windows to basements. Insulate exposed pipes (both hot and cold) under your home with foam pipe insulation. Open cabinet doors under sinks to circulate warmer air. Keep drapes and blinds closed. Clean your gutters and downspouts prior to cold weather arriving to prevent ice from forming in them. Spray ice repellent solution on steps and walkways before freezing weather arrives. Check antifreeze levels in your vehicles. If needed, run the engine for 5-10 minutes to circulate the new antifreeze through the radiator and engine block. Add winter-grade windshield wiper fluid, and spay to circulate through the lines. Check the air pressure in your tires, cold weather causes the pressure to lower. Use rock salt, sand, or clay-based kitty litter on walks and drives.